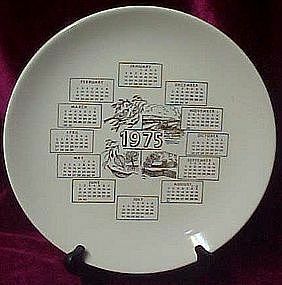 1975 year calendar plate made of white china with gold decorations of monthly calendar leaves and the four seasons of the year. Coupe shape and measures 10 1/2" in diameter. Co chips or cracks, and gold is good.